Paper size: 29.5 x 41.5 cm. 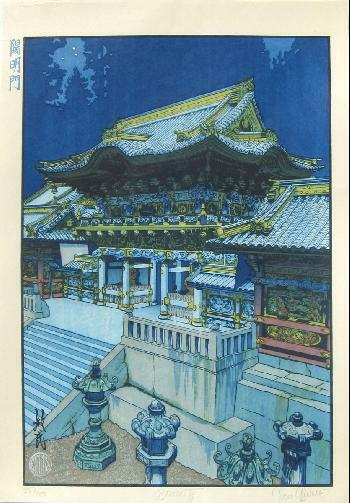 Night view of Yomeimon (Gate) within the Toshogu Shrines of Nikko, dedicated to the first shoguns of the Tokugawa period. The sixth design in the series Nihon Meisho Zu-e - Famous Views of Japan, self-printed in February 2011.